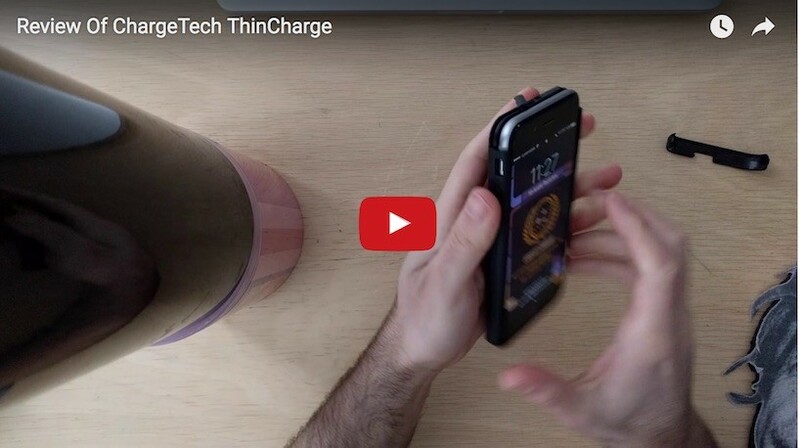 The ChargeTech ThinCharge is a such a simple piece of technology, it’s hard to appreciate how useful it is, until everyone who sees it asks you about it. 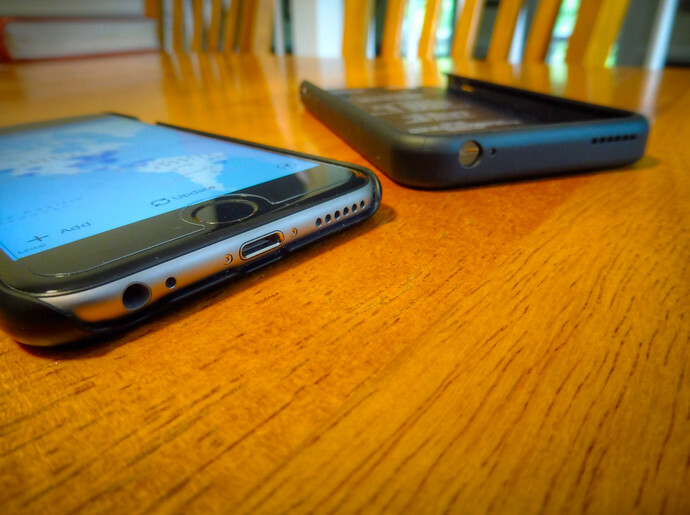 ChargeTech sent me a ThinCharge for the iPhone 6s, which I’ve been using for the past few months. You can see more in the video above on how it works, how thin it is, and what a benefit it is to expand your iPhone’s battery capacity by 1.5 times in an 85 gram, 11 millimeter-thick protective case. The ThinCharge takes around 4.5 hours for a complete charge, which should comfortably get you through the day (or a long flight). An LED light on the side indicate how much charge the case itself has (the more it flashes the less power is left). The buttons of the case where the LED light is located is my only real gripe with the ThinCharge. Although you can charge the case and sync your phone with iTunes on your laptop without having to take it out of the case, you need to turn the case on by long pressing the top volume button. That means every time you turn on or off the ThinCharge, your ring volume will jump to maximum and you’ll need to remember to turn it down. Otherwise, the ThinCharge is an ideal charging case for people who both hate cases for adding bulk to a phone and hate Apple for making anemic batteries. iPhone 7 and 7 Plus users, ChargeTech’s Indegogo campaign was successful, so those should be available for purchase soon. I’ll post links here when the iPhone 7 model is released; available now is the ThinCharge for iPhone 6 and 6s which you can find here.